Internal Renovations & major additions to a federation era home on the north shore. 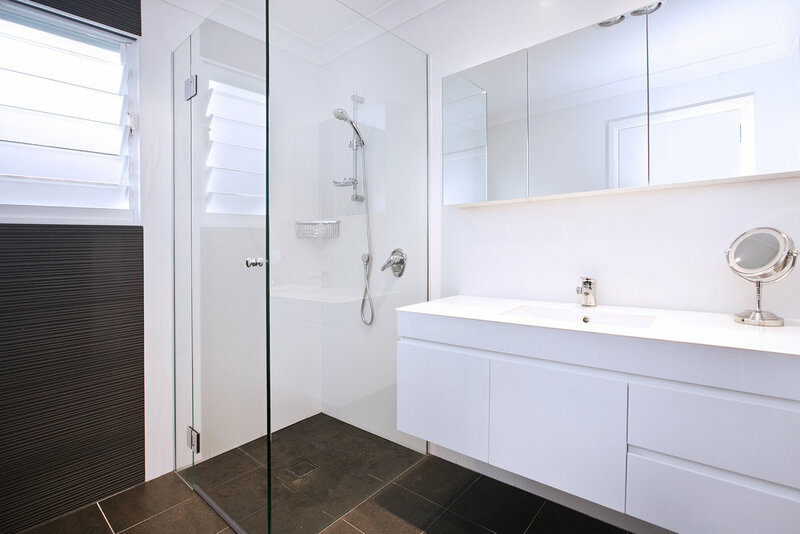 After renovating a couple of bathrooms for these clients a few years back, they approached us once more for a more substantial building project. The home had once had an addition placed on the rear, which was poorly designed and did not allow for an efficient use of space. The room acted as the client’s main living/dining and kitchen area. They required us to remove the old addition, including the floors, walls and roof, and rebuild something more practical. As the clients had worked with us before, they approached us looking for a design and construct solution as they had a relatively tight budget with no room for variations to occur during the build. We were able to investigate all of the existing building structure and put together a proposal that encompassed every possibility – including levelling of the floor structure which was desperately needed. This meant that the client knew what they were up for before works began and we found no issues that we had not already discovered once works commenced. We designed the new building to be open and light capitalising on the northerly aspect and placed highlight windows at the top of the pitched roof. As the house was originally of federation era architecture we were keen to reflect these design elements in the new extension. Complimentary timber beams were selected to add a dimension to the house, the stained glass windows salvaged, and the external sandstone paving re-laid when works were completed. All these elements tied the new extension back in with the original architecture of the house. The end result is an extension that encapsulated the original design aesthetic from the street, but one that also creates a modern and fresh internal living environment. As with all additions and extensions, the marrying of the new building to the old was extremely important. The careful marrying between the two will not only create strength between them, but will prevent future problems such as water penetration.